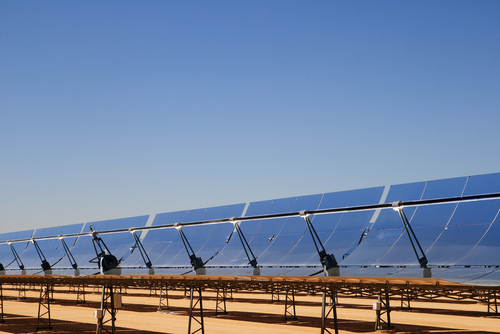 Solar energy just set a world record – but probably not the one you were expecting. 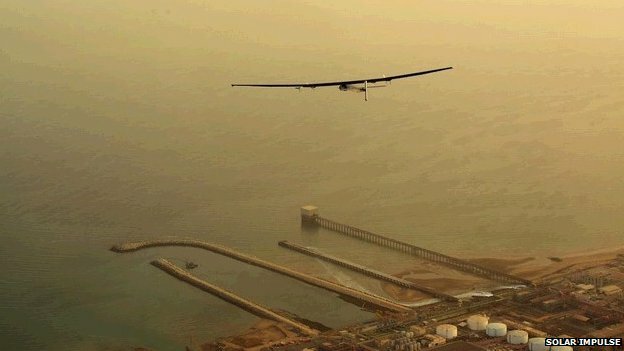 On 10th March Solar Impulse broke the world record for solar flight in their larger attempt to be the first pure-solar aeroplane to circumnavigate the world. The trip is designed as both a proof of concept, and as part of a wider mission to raise the profile of our most promising opportunity for renewable energy. 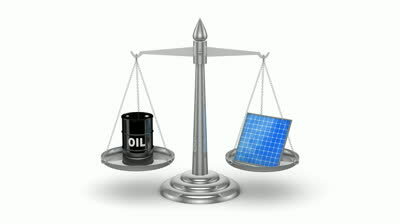 But with the ongoing fall in oil prices, is solar energy really worth all this hype? Solar adoption has largely been driven by three things: the high cost of traditional energy (predominantly oil, gas and coal), the growing focus on climate change and sustainability, and concerns over energy security. This led to the creation of generous government subsidies on both sides of the Atlantic to encourage adoption – as most solar power is currently uneconomical. With the worldwide fall in energy prices, critics are starting to question the value of an industry that is so dependent on government support to be profitable. Whilst a valid concern, this clearly misses the additional benefits – ‘externalities’ – the solar industry provides. For a start, the two other factors driving adoption – sustainability and energy security – have only strengthened as oil has weakened. The situation is continuing to deteriorate in Ukraine, with the Putin regime resorting to apparent political assassination to restrain dissent at home. Whilst there is clearly some momentum gathering in the fight against Boko Haram (by a Northern African army coalition) and against ISIS (by Iraqi forces and Shia militia), their recent pledge to unite in Jihad cannot be underestimated. The US and Europe are still critically dependent on these regions for their energy needs, which has clearly visible consequences in international relations on every level. Solar power could fundamentally shuffle the global bargaining table – reducing the influence of unstable minority governments in the Middle East, and maybe even neutering Russian aggression. Sustainability became a corporate buzzword around the turn of the millennium – scattered into political speeches and corporate strategy alike. It may have lost that initial novelty factor, but only because the green agenda has simply become part of mainstream Western society. The aforementioned subsidies were not a niche offering – they were, and generally still are, widely popular. But the questions remain as to the viability of an industry that cannot survive without state support. Photo-voltaic cells are currently available in two different varieties: Poly-crystalline silicon (the familiar silver panels on residential rooftops) and Thin-film (created from a whole variety of different semiconductor material types). Their respective properties have largely determined their usage. Poly-crystalline panels are significantly more expensive, but provide more juice given their higher efficiency at around 15-20%. They are generally used in more space-constrained environments, such as on your neighbour’s roof, where more power is needed from a smaller area. Thin film is cheaper due to reduced material requirements but much less efficient at around 10%, and so has tended to be used for larger buildings such as commercial warehouses. There has been steady improvement in both costs and efficiency for both, such that it is actually economical for some households in California – with a market rate of 36 cents per kilowatt / hour against costs of 30 cents. However, improvements in traditional PV technology are actually physically limited to around 30% efficiency – something known as the Shockler-Queisser limit. This has sparked a stream of innovation with the potential to fundamentally alter the cost dynamics (and thus the business viability) of the industry. 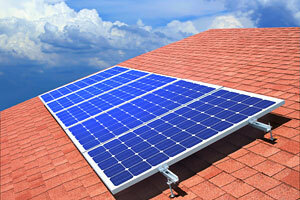 CSP (mentioned above) is one possible solution. The physical limits relating to the extent solar energy can be taken in and transformed do not apply, as the rays are used for their heat rather than absorbed directly. This is one way of circumventing the problem with most solar cells, where energy levels that are either too low or too high are often entirely wasted. Another possibility is to layer differing types of Thin-film panels with different absorption characteristics together – enabling much greater coverage of the spectrum available. In both cases, the maximum efficiency is forecast to be closer to 80% – a fourfold increase over the best commercial offering today. This combination of hugely increased production with the inevitable scale efficiencies as the industry expands paints a revolutionary picture of complete energy self sufficiency. Solar is the only ‘renewable’ with the potential scalability to sustainably support our ever-growing energy requirements. Despite this, we should revisit the original criticism regarding government subsidies. These incentives are clearly crucial to promote the long-term research and investment required over the coming decades. But we are certainly right to question the extent and method of their provision. Our particularly generous support in Europe must be careful not to dilute the incentives for cost reduction that is still badly required. Western government clearly recognize this vision for a new life without fossil fuels, but must be careful to ensure it is not stillborn by an addiction to their incentives. I endeavor to produce a unique perspective on the most interesting and promising new innovations going on in the world, taking insight from my wide background in both corporate business and SME enterprise. Having spent my Gap Year at IBM, worked at a law firm (DBS Law) alongside my Economics degree, completed the first three ACA accounting exams, and succeeded in securing internships at PWC and EY - I am now writing for the Wordly magazine as a Science and Technology writer to develop my expertise at the forefront of digital innovation. I am particularly interested in the world of Venture Capital and Technology start-ups, with my ultimate ambition being to establish my own firm specializing in Artificial Intelligence, Machine Learning and Advanced Analytics. EzDWDc This page definitely has all the info I needed about this subject and didn at know who to ask. Some truly nice and useful information on this internet site , too I conceive the style and design contains great features. Very instructive and superb structure of articles , now that’s user pleasant (:. What i do not understood is in fact how you’re not actually much more well-preferred than you may be now. case of this matter, made me in my opinion imagine it from so many various angles. I am really happy to read this weblog posts which consists of lots of valuable facts, thanks for providing these kinds of statistics. hello!,I really like your writing so much! proportion we keep in touch extra approximately your article on AOL? I read this post completely concerning the difference of newest and previous technologies, it’s amazing article. I so much indubitably will make certain to don?t fail to remember this web site and give it a look on a continuing basis. to subscribe to it. Is there anyone else having similar RSS problems? hi!,I really like your writing very a lot! percentage we communicate more approximately your article on AOL? 9wvF4x What as up everyone, I am sure you will be enjoying here by watching these kinds of comical video clips. Nice article i like it very much man! Take about five minutes before your tasks and calls for deciding what results you wish to achieve. Latest Episode Pyaar Lafzon Mein Kahan. This can help you see success before you begin. It can also slow down some time. Try taking about five minutes after every activity and call to figure out if you achieved the desired outcome. If you didn’t, what did you miss? How can add the missing element to the next task? Not one in all my cleaners earns beneath $18hr. Knowledgeable Restore, New Storage Doorways & Openers. Roof power washing professionals are at your service. This service is called deck washing and restoration. Discover tree removal services and firms. The Junkers is his ‘s eco-aware waste-removal company. Call Phoenix Towing Service for speedy service ??? using this website, since I experienced to reload the site lots of times previous to I could get it to load properly. Yes! Finally someone writes about acne treatment. Thanks for any other informative site. The place else may I am getting that kind of info written in such an ideal manner? Hi, after reading this remarkable paragraph i am also delighted to share my know-how here with friends. It is not my first time to pay a visit this website, i am browsing this web site dailly and get nice data from here every day. Hi there! This article couldn’t be written any better! Looking through this article reminds me of my previous roommate! There are numerous choices with regards to wooden flooring. Also, The contents are masterpiece. you’ve performed a fantastic task on this subject! into account of. I say to you, I definitely get irked even as other people consider worries that they plainly don’t realize about. no need side effect , folks could take a signal. Will likely be back to get more. A finished basement is a superb addition to any house. Loved the service: Garden Love was nice! Tape from Crawl area repair was improbable. Clear mildew or mildew from leather.